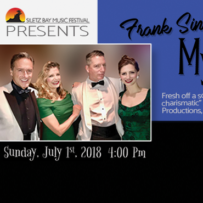 I am SO very excited to announce that the ORIGINAL cast from the Sold Out run of My Way in Petaluma, is reuniting at the Siletz Bay Music Festival this Summer! There is something special going on when a run sells out. It speaks volumes about the talent and dedication of everyone involved. It is one thing to bring a such a wonderful show to it’s feet and another to successfully stay the course for a month of productions – 15 in all! It was a joy to have friends from far and wide make the trip to Cinnabar Theater in bucolic Petaluma. The hills were so vibrant and rolling-green this past Winter. And when the fog rolled in as the sun set each evening, the drive from San Francisco was sheer magic. Thank you to ALL who made the trip. We’re all looking forward to sharing the magic of “My Way” with the dedicated patrons of the Siletz Bay Music Festival. This fundraising event is a highlight – year over year and the timing of this show is perfect as it honors of Mr. Sinatra’s 100th birthday. I’m simply thrilled that so many of you will get to see this delightful production in July. It is an energetic song and dance production; featuring Sinatra’s classic music and harmonies so tight that you’ll smile ear to ear. We’ll have you tapping your toes and most likely singing along! Please join us for this magical event. 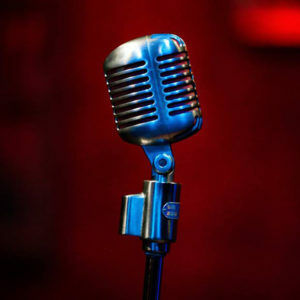 Proceeds from this concert allow Siletz Bay Music Festival to begin planning the 2019 concert season as they continue to bring music and music education to the Oregon coast. Tickets for this Benefit Concert are $125 and include wine and hors d’oeuvres.